In the United States, many believe that a suntan enhances appearance and indicates health. Sunlight is the primary natural source of vitamin D, supplying 90 to 95 percent of vitamin D with 15 to 30 minutes of daily exposure to midday sun. There is little evidence that minimal, sensible exposure to sunlight causes a considerable risk of skin cancer. Ultraviolet (UV) rays in sunlight are considered a so-called complete carcinogen, meaning they can not only initiate cancer, but promote its progression and spread. Therefore, people who take tanning to an extreme increase their risk of skin cancer. Some people who tan compulsively report that they feel euphoric from tanning. This is a result of endorphins being released when tanners are exposed to UV rays. In fact, when tanners’ brains were scanned, researchers found that the reward pathways of their brains lit up in the same way as those who abuse heroin. A popular method for tanning, particularly among young women, is the use of tanning beds. 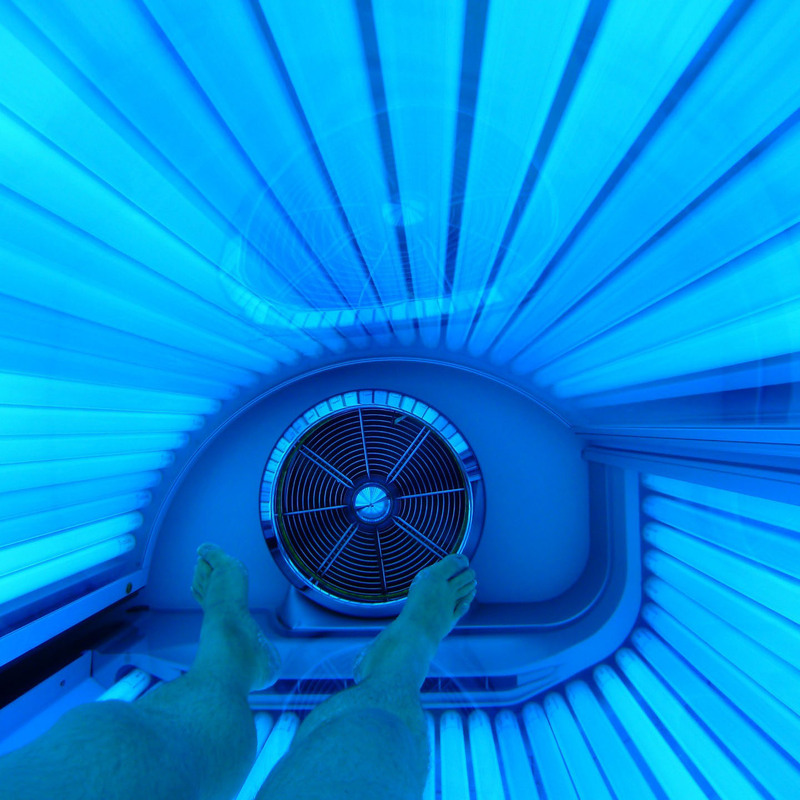 The light used in tanning beds is not the same as the light produced by the sun. Tanning beds emit UV-A (long-wave) rays, which penetrate the skin more deeply than UV-B (shortwave) rays. The incidence of melanoma, the most dangerous kind of skin cancer, is rising in young women, attributable to increased use of tanning salons. Young women who visit a tanning salon 10 or more times before the age of 30 have six times the risk of melanoma. The International Agency for Research on Cancer and the World Health Organization raised the classification of tanning beds to a Group 1 carcinogen, the highest level on par with asbestos, cigarettes, and arsenic. A number of countries are passing laws to regulate tanning salons. Image Credit: Thomas / Pixabay. This image has been modified. Erectile dysfunction may be an early warning sign for heart disease.